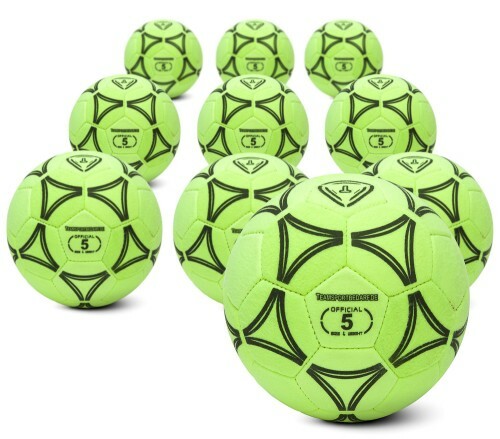 You will receive a set of 10 indoor footballs for adults, size 5, with felt coating - best used fpr training in the hall. 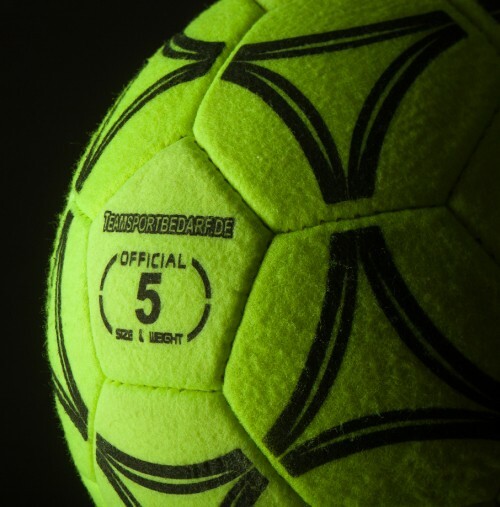 The Teamsportbedarf.de indoor balls are hand-stitched, and have very precise flight characteristics and meet the prescribed standards of FIFA. The weight of the balls is 410-450 g and the bulk 685-695 mm. 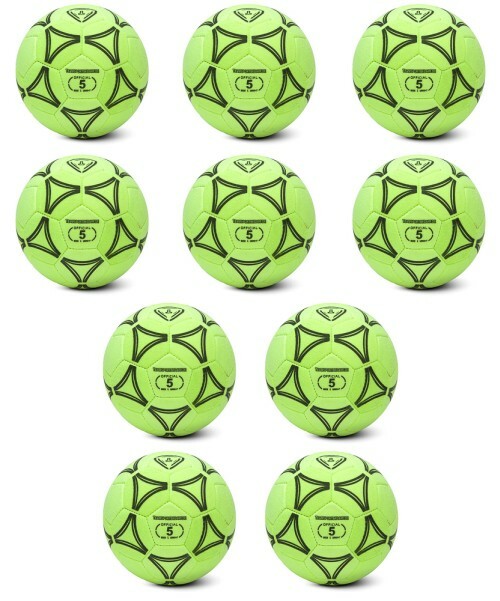 Individual hall footballs or the matching ball bag can also be bought in our shop. Teams from other professional sports already use our product. 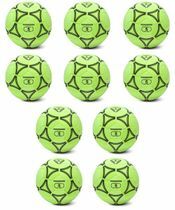 Set of 10, high quality felt hall footballs. Great look, and provides optimal resistance.